Marinaleda has virtually full employment, in a country where over a quarter of the population is unemployed. It also has wage equality and communally owned land. The majority of the town’s housing was built through a mix of government subsidies and future residents’ sweat equity. 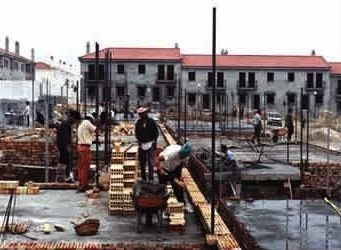 About 450 days of labor during construction enabled rents of 15 euros per month. The resulting houses have three bedrooms, a bathroom and a garden of 100 square meters. The garden is an adaptable space that can be built upon in the future. 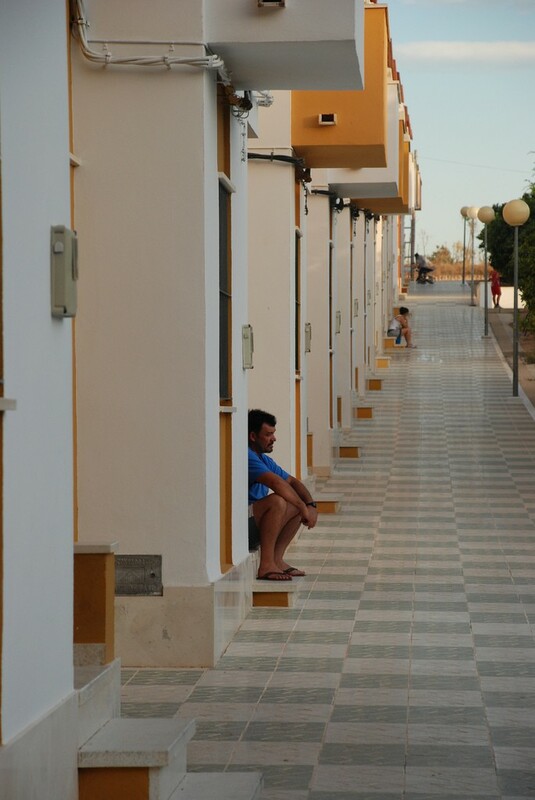 Marinaleda’s residents have access to a variety of social services, including free home care for the elderly, cheap nurseries and sporting facilities. These are financed through co-operatively run farms and factories. Yet the town’s transformation over the past decades has not been without controversy. Behind both is Marinaleda’s mayor, Juan Manuel Sánchez Gordillo, who has held office since 1979. He has been a committed militant for decades, deeply involved in the labor movement and a deputy with the United Left political party in the Andalusian Parliament. Sánchez Gordillo recently made it into the English press for his role as the "Spanish Robin Hood" and his march to convince other mayors in Spain to ignore austerity measures. 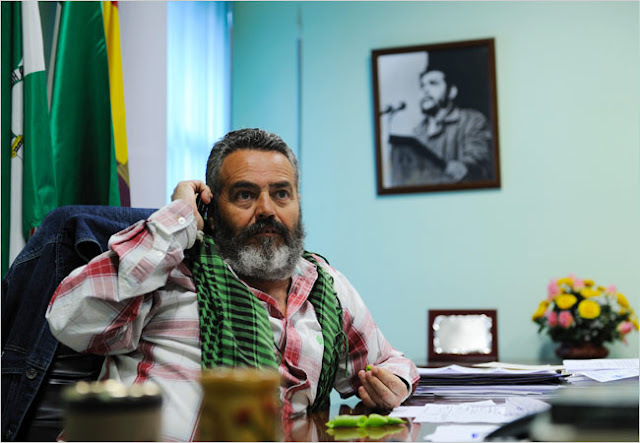 For Sánchez Gordillo, it is as simple as this: “An agrarian revolution is necessary. ... In Andalusia, five percent of landowners own 50 percent of the land. Land needs to be expropriated from the large landowners.” He and others occupied land in Marinaleda in the late 1970s. 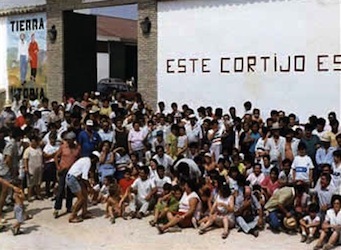 After fines, detainment, jail time and threats by the authorities, they won their battle in 1991, when the regional government purchased the land, owned by the Duke of Infantado, and leased it to Marinaleda’s cooperative. Critics note that while Marinaleda is portrayed as a Communist oasis (although a more accurate description would be Socialist), it depends heavily on money from the regional and central governments it decries. They say that the mayor has succeeded in dividing up misery rather than creating wealth by promoting low-productivity farm jobs. 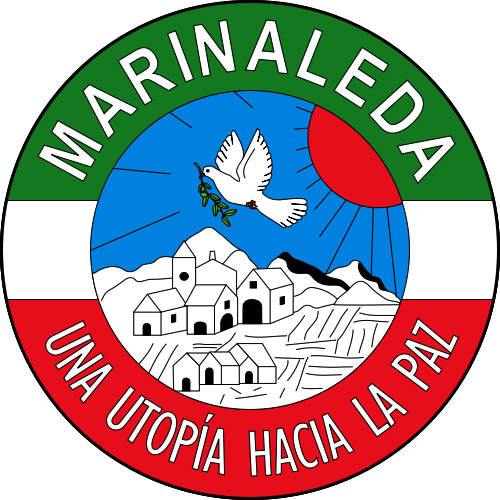 Others say the political atmosphere in Marinaleda is stifling and that the mayor has ostracized his opponents. 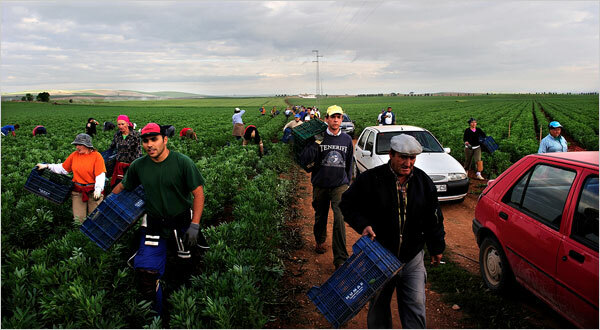 Anthropologist Salvador Becera from the Center for Andalusian Studies in Seville noted that, while Sánchez Gordillo has "brought social equity to an uneducated, economically oppressed community," his agriculture-based vision is anachronistic. "Right now, they can puff out their chests because the economy is in crisis," Mr. Becera said. "But what if they had the chance to get rich? Then who would stay in this little paradise that Sánchez Gordillo has created?" The crisis in Spain shows little sign of abating anytime soon. If one believes that the country's current system faces inherent ecological, social and economic crises, then Marinaleda — while not utopia — can certainly provide inspiration. how would you define the difference between socialism and communism? Unfortunately I can not come up with the right word, but let me explain it in words I can come up with. Communism is part of the socialist ideology. It also includes anarchism and many others. And to make it even more interesting, there are differences within communism and anarchism too. Look it up and you will find the answer more clearly. It's pretty simple: communism is considered to be the "last stage" of worker's liberation, where there is no more State and everything is owned by the workers in Commons, where politics becomes only the democratic way to decide how to exploit resources and invest in social value. Socialism is the way (according to Marx) to go in order to achieve Communism: a transitional State where the "Dictatorship of the proletariat" takes places, expropriates property from Capitalists and socializes it to the workers, maybe with force. Socialism is characterized by the State's or Worker's ownership of the means of production (through State property or co-operative property) and is intended only to be transitional. Of course, Anarchists want to achieve Communism without having to pass necessarily by the Dictatorship of the Proletariat (Socialism) and trying other means, which are more or less socialist. It's important to remember, that while many self-identified Socialist countries existed (URSS, China, DDR, Cuba etc. ), never in history a country has legitimely claimed to be Communist (since Communism is a stage where the State doesn't exist anymore). Good question, I always assumed that socialism was like communism lite, but there must be more to it. I just want to add that this is a great brief on Marinaleda. Very balanced and engaging, with enough information to inspire me to learn more. This city is absolutely ripe for massive amounts of economic analysis. I can't quite wrap my head around it as I am busy running regressions for a project, but thank you for bringing this up - it'll be fascinating studying this place in detail. This is exactly why I love Polis so much. Nowhere else do you find so many interesting topics to examine day after day. The houses look very repetitive. Maybe it's just that particular photo. So the residents were involved in the construction, but did they have a say in the design? Is there a way to make social housing more customizable, adding more of an element of choice? The houses in that picture are obviously a huge improvement over abject poverty, but they lack something that even the most destitute of slums have: the possibility of self-improvement. The thing is that they don't ask to hundreds of architects to do the plans since this would cost a lot more. They asked a blueprint to one architect which they decided in assembly was a good choice (quality/price) and use this construction plan for all those who want to participate to the self-construction project. Remember they can live in those houses for 15 € per month! Actually, since the people which lives in the house is the one constructing it, often they build extra verandas and features which are not in the blueprint of the architect; but since it's a complex engineering problem (at least for me...) they don't do it very often! I also wonder how democratic this town is. It would be interesting to interview residents. Re the difference between socialism and communism: I think of them as on the same spectrum. Socialism grows directly out of capitalism, and communism can then be thought of as an "evolution" of socialism. So Corrine - yes we could say that socialism is communism light when we think of the two as systems (the two in practice and as political parties are more complex). Both socialism and communism are systems of production for use based on public ownership of the means of production and on centralised planning. Socialism can be described as "from each according to his ability, to each according to his deeds", but communism relates ability to NEEDS as the ultimate goal. The ultimate goal of a communist system is also to do away with the class system. So Marinaleda philosophically and practically seems to aspire towards communism, but the whole notion of a "Communist oasis" for me is inaccurate because that involves larger systemic structural changes that just can't happen in an oasis. Rob: I think the houses are quite similar in terms of typology. And fantastic question - I have no idea if the residents were involved in the design, I'd love to know the answer to that. If I come across the information I'll add it in the comments. I think there are ways to make social housing more customisable but clearly cost is a big factor. The Chilean Elemental is known for their work around making flexible housing, although customising it further is difficult. At least in the Marinaleda example they left 100 square metres (over 1000 square feet) of garden space where the houses could be expanded if necessary. Would be interesting to see which residents have done this, and how. Anonymous: Agreed, would be really interesting to interview residents. I read that they have village assemblies that vote on all matters concerning the management of the town and that they have a participatory budget, but participation in such activities has declined over the years. However I wonder how having a Mayor with such strong political ideologies affects (i.e. quiets? stifles?) the voice of those who do not agree. I'm considering to move to Marinaleda. Can anybody give me some information how it is with EU citizens moving there (who can't speak Spanish :D )? 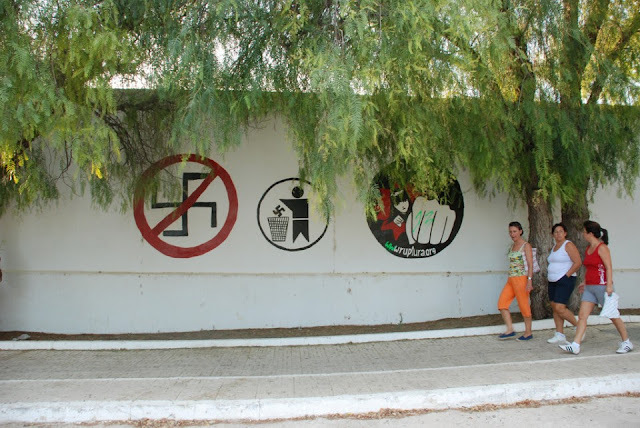 And are there any similar communities in Europe? The same rules as for the rest of Spain apply; but it's even easier! If you want to move there, just go there but remember: you cannot do housing speculation and there are few jobs.